Pet Halloween Costumes and Treats. Halloween is just around the corner and so much fun can be had during this time of year! From pumpkin patches to apple picking to corn mazes and so much more, autumn in the Pacific Northwest is, in my opinion, a truly wonderful time of the year. And one of the most fun parts is dressing up for Halloween! Whether you’re dressing up to trick or treats with your kids or you’re going to a party or just doing it for Instagram, there are plenty of costume ideas for your pets! If you do decide to dress your pets up for Halloween, there are so many ideas! However, it’s important to keep an eye on how your pet is feeling in the costume and around any Halloween festivities. Some pets get stressed out with costumes and other times, the costumes might now fit correctly. So it’s always good to try the costumes on before Halloween to see how it looks and to see what your pet thinks! If you’re still trying to find a good costume for your pet, here are some great ideas! Some you can make yourself while there are plenty of costumes for sale online or at different stores. Cat in the Hat: using a red and white hat (which you can knit or sew if you’re crafty!) and a red bow tie, you can turn your cat into the Cat in the Hat! A Lion: there are so many great lion mane costumes you can get for your pet that makes them look so great! This is a particularly great idea for pets with lighter fur (like gold retrievers!). 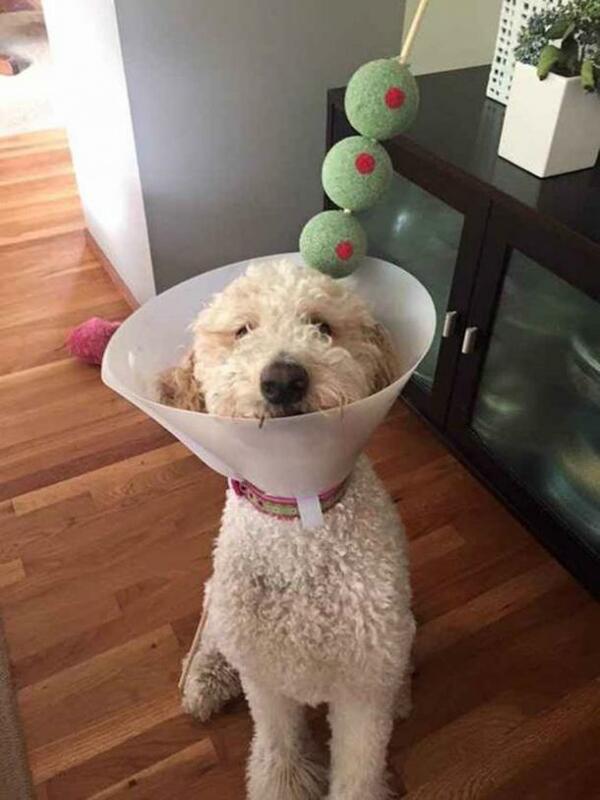 A Martini: is your dog in a cone this Halloween season? Using a couple green felt balls, some red fabric, and a stick, you can turn that cone of same into a Martini glass! 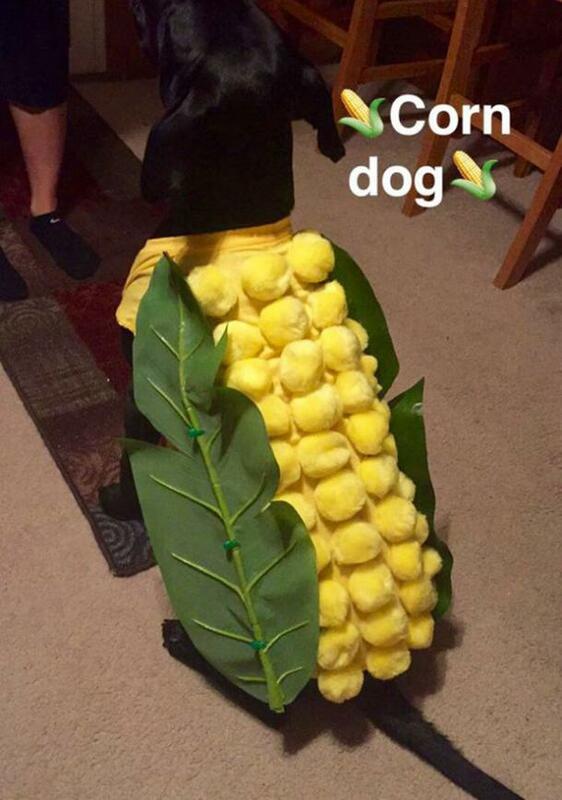 A Corn Dog: using a yellow shirt, yellow pompoms, cardboard, and paint, you can turn your dog into a corn on the cob! That way, they’re a corn dog! A Beanie Baby: this is an easier costume to make and wear so if you have a dog that doesn’t like to wear costumes, consider making a beanie baby tag for their collar! Is it ok that: These Cat Owners Have Taken Cat Costumes To A Whole New Level? from Is It Okay That? Once you’ve figured out the best costume for this Halloween, only the treats remain! The great thing about this time of year is that pumpkins are in season and pumpkins are a tasty, great treat for our pets! Pumpkin peanut butter cookies are easy to make and with cookie cutters, you can make cookies in different shapes! There are so many fun costumes, treats, and things to do around this time of the year! Are you and your pets doing something fun to celebrate Halloween? Let me know in the comments! Note: none of the links here are affiliate links and there is absolutely no gain (monetary or otherwise) for me if you click them. I say go for it anyway! Dogs in costumes are, in my opinion, cute as heck and can be so funny! However, I also lack the bravery to dress any cat up. Ha, ha. I think the new kitten might be game. Fingers crossed! Our Bengal would definitely bite and shred us! My cat refuses to wear a costume although, being a black cat with vampire fangs (I’m not joking: he has protruding canines), he’s in costume all year round! That’s so cute and very handy this time of the year!